I chose DbD because I wanted my daughter in dance at age 2 and other studios don’t start until age 3. I love DbD because of the location, staff and choices of classes. We have been going since the first year open and love it! Recital always turns out amazing and the costumes are beautiful! My daughter looks forward to class every week and has made great friends! We have had Ms. Kayla, Ms. Natalie and Ms. Carolyn as instructors and each of them are amazing at what they do and very patient with every student! When friends ask about DbD I can never say enough! We love DbD!!! We chose Dance by Design Dance Studio because we had heard great things from our friends who were attending. 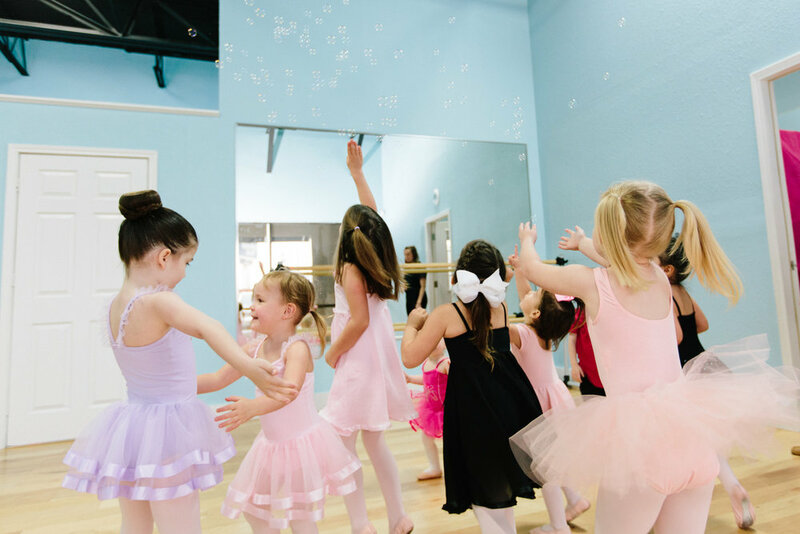 One of the reasons I love this studio is because of the teachers; their dedication, joyful spirit, and love of dancing they share with my daughter. I always recommend Dance by Design to fellow moms! The studio is well organized and they keep us well informed. My daughter has taken a variety of classes with numerous teachers and have had no complaints!!! Words alone cannot express how thankful I am that my husband and I walked into your studio 3 years ago. Austin has blossomed from the love and training he has received from Ms. Carolyn and Ms. Amy. Dance by Design has been a tremendous blessing to us. I absolutely love all of the instructors at DBD! They all have a clear love for children and dance. We started out in Ms. Carolyn’s Twos in Tutus class and I was completely blown away by her patience, classroom management and obvious love for her students. She continues to amaze me with what she can do with her students! We are now in our 2nd class with Ms. Kayla as the instructor. She has infinite patience and awesome choreography skills! She will always have a special place in my heart because, with only a couple of hours notice, she showed up to my daughter’s talent show (with her babies in tow) and helped her through her performance! Her love for her students blows me away! Ms. Amy has the sweetest disposition and my daughter has loved learning from her during the Christmas Traditions rehearsals. She is an amazing dancer as well! My daughter has always loved to dance and I was so excited when I found Dance by Design when she was two. The studio has helped flourish her passion for dance. We have been blessed with lifelong friends and a community that has become family at DbD. The teachers are loving, supportive, and knowledgeable. They make every class fun while teaching technique and character. We love being a DbD family! I can not express enough about how incredible the recital was! You thought of every small detail and it went so smooth and wonderfully. My daughter had the time of her life and watching her enjoy dancing makes my heart happy! You make her enjoy dancing! Thank you for all you do and for being the teacher you are and the person of faith that you are! You are the shining light these girls need! Again, thank you from the bottom of my heart!